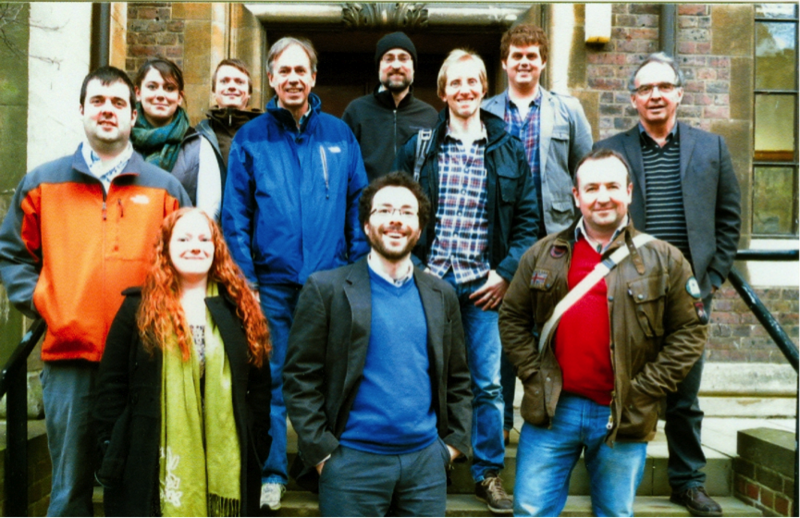 At the start of December, Andrew organized a three-day workshop in Cambridge, bringing over Brian Kielstra, John Gunn, Nikki Craig and Chris Solomon from Canada, Michael Pace, Grace Wilkinson and Stuart Jones from the USA, Jan Karlsson and Martin Breggen from Sweden, and Jon Grey from the UK. The aim was to see how terrestrially-derived organic matter (tOM) contributes to secondary production in aquatic ecosystems, by synthesizing global data collected from 594 observations on C, N and H, in over 10 zooplankton groups from 158 lakes in the northern hemisphere. Ultimately, the group would like to build a model for each consumer by lake. The ten limnologists worked all day (and all night!) but still had time to experience Cambridge, with time spent at the legendary Eagle pub (where great minds meet) and an exquisite dinner at Peterhouse, the University’s oldest college. A few days later, while Jon, Martin, Jan, Nikki and Stuart traveled home, the rest of the group and I traveled to London to catch the Eurostar to Lille, where we attended the British Ecological Society (BES) and Société Française d’Ecologie (SFE) joint meeting. The meeting was the first of its kind and brought about 1,200 ecologists to the Lille Grand Palais convention center – mainly French and British, but also a lot of attendees from other European countries and the rest of the world.